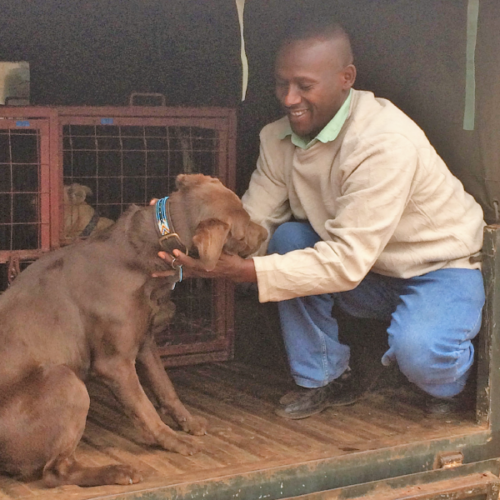 Joined the farm and kennel business in September 2013, with no knowledge of how many hours he would spend sitting in Nairobi traffic collecting and returning pets without complaint. Henry has proved to be a trustworthy employee and a safe and steady driver. He is a very pleasant and friendly character and a good ambassador for Yoani Yapperville as he is the first face that many clients associate with the company.